This historic downtown theater has been around long enough now that it's difficult to remember what local nightlife was like without it. With musical artists as diverse as Bright Eyes, Dwight Yoakam, Arturo Sandoval, Leftover Salmon, Ani Difranco, Richard Thompson, Mystikal, and the Donnas--as well as comedy and variety acts--making appearances in the last year alone, it's estimated that the venue draws about 100,000 Tucsonans from all over the city to the downtown area each year. 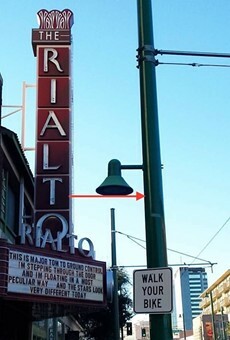 An invaluable asset to both local music fans and a constantly struggling downtown, the Rialto sits at the pinnacle of the big top according to our readers this year. 3. UA Centennial Hall, 1020 E. University Blvd.